Now over the 6 month period that this supplement was tested, it was calculated that the subjects if not on any supplement would typically lose 0.6% of their bone density due to normal aging effects. However test group 1 had a 2.27% increase and test group 2 a significantly higher 3.72% increase. 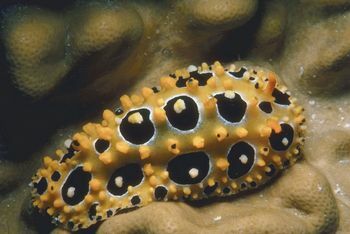 Therefore we can conclude: (a) that supplementation with ingredients concentrated from natural source (sea slugs) helps prevent bone density decrease, and in fact increases it. (b) that a supplement with a larger range of elements, such as vitamins and additional minerals increases the bone density further. This highlights a key issues with supplements. You are much better to take a supplement that has a range of nutrients, not just high levels of one nutrient. The body needs a whole variety of nutrients to do even a simple task, like increasing bone density. Hence when people supplement with just calcium, you are not going to improve your bone health that much. You need a range of nutrients so that the whole process of bone strengthening can occur.